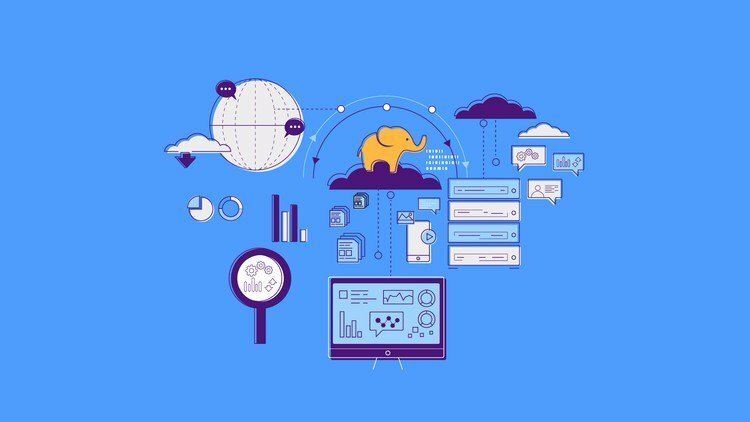 With data being generated at a fast pace, the Hadoop market is set to grow at a rate of 28.9% over a period of 2018-2024 and has become one of the most popular open source projects. Hadoop is at the core of the Big Data revolution. This scalable storage platform is widely used for storing and analysing data. 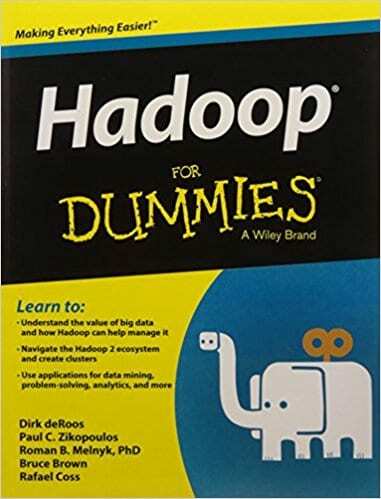 In this article, we list you 10 best books for learning Hadoop from scratch. Overview: This book helps the reader to learn how to build as well as retain reliable, available and spread configurations while making data managing easier. It helps you to examine dataset regardless of the sizes and also there are numerous Hadoop related assignments such as Parquet, Crunch, Spark, etc. You will also understand the current changes to Hadoop and discover case studies on various fields. Cost: You can buy the paperback version of this book from Amazon which will cost you ₹950.00 only. 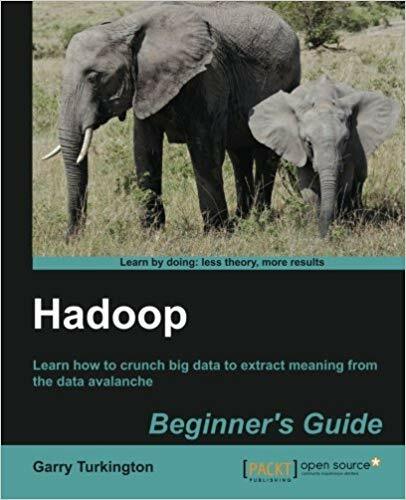 Overview: In this book, you will learn the tools and techniques that let you approach big data with relish, build a complete infrastructure to handle your needs as your data grows, understanding the need to effectively use Hadoop to solve real-world problems. You will also learn how to develop applications, maintain the system, and how to use additional products to integrate with other systems, etc. Cost: You can buy both the Kindle edition and paperback version of this book from Amazon which will cost you ₹310 and ₹830 respectively. 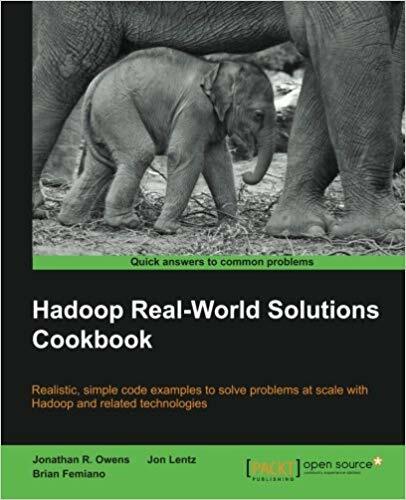 Overview: Hadoop Real-World Solutions Cookbook provides in-depth explanations and code examples. Each chapter contains a set of recipes that pose, then solve, technical challenges, and can be completed in any order. A recipe breaks a single problem down into discrete steps that are easy to follow. 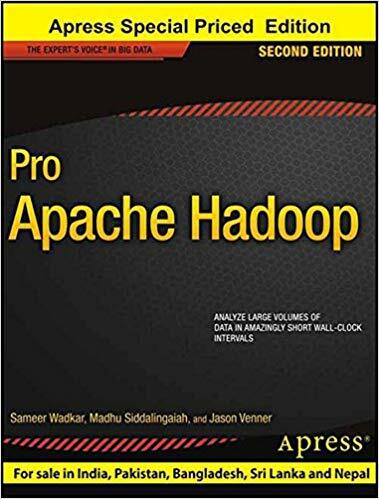 You will understand how to build solutions using tools such as Apache Hive, Pig, MapReduce, Mahout, Giraph, HDFS, Accumulo, Redis, and Ganglia, etc. Cost: You can buy both the Kindle edition and paperback version of this book from Amazon which will cost you ₹309.75 and ₹829.00 respectively. 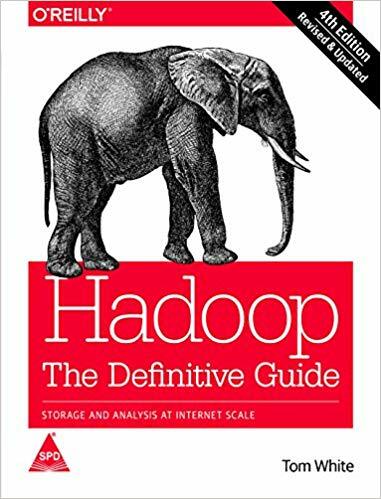 Overview: The book begins by making the basic idea of Hadoop and MapReduce easier to grasp by applying the default Hadoop installation to a few easy-to-follow tasks, such as analyzing changes in word frequency across a body of documents. 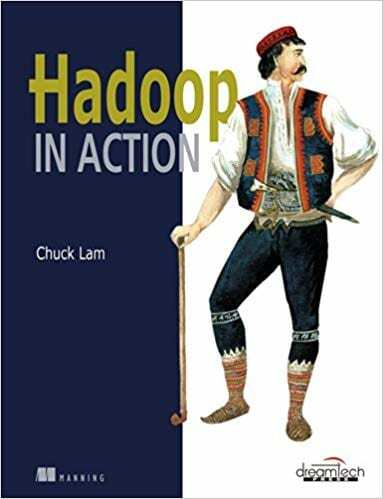 The book continues through the basic concepts of MapReduce applications developed using Hadoop, including a close look at framework components, use of Hadoop for a variety of data analysis tasks, and numerous examples of Hadoop in action. Cost: You can buy the paperback version of this book from Amazon which will cost you ₹532.00 only. Overview: This book covers all aspects of the Hadoop platform, its interfaces, and its key ecosystem components and associated Big Data technologies, shows how to build Hadoop solutions step by step, with all samples available for download. 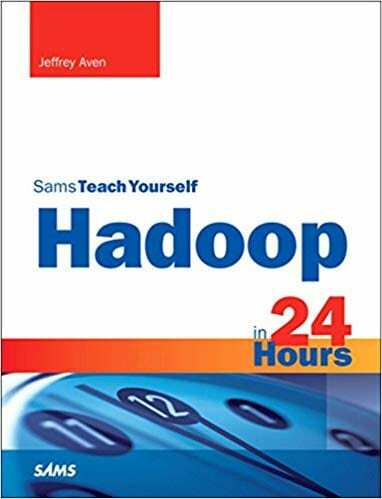 The contents of the book are slotted into durations and it starts from the basic introduction of Hadoop and ends with hands-on workshops. Cost: You can buy the paperback version of this book from Amazon which will cost you ₹551.00 only. Overview: In this book, you will understand the core concepts behind Hadoop and cluster computing, how to use design patterns and parallel analytical algorithms to create distributed data analysis jobs, learn about data management, mining, and warehousing in a distributed context using Apache Hive and HBase, how to use Sqoop and Apache Flume to ingest data from relational databases including how to perform machine learning techniques such as classification, clustering, and collaborative filtering with Spark’s MLlib, etc. Cost: You can buy both the Kindle edition and paperback version of this book from Amazon which will cost you ₹484.50 and ₹459.00 respectively. 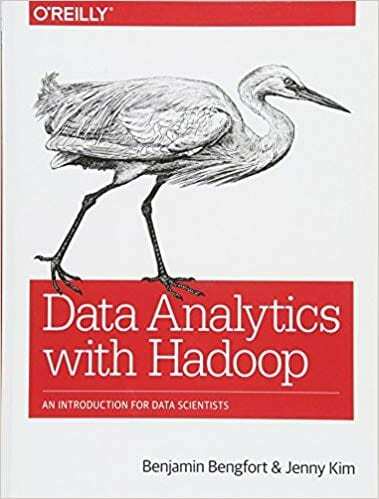 Overview: This book helps you understand the value of big data, make a business case for using Hadoop, navigate the Hadoop ecosystem, and build and manage Hadoop applications and clusters, how to use Hadoop applications for data mining, web analytics and personalization, large-scale text processing, data science, and problem-solving, how to improve the value of your Hadoop cluster, maximize your investment in Hadoop, and avoid common pitfalls when building your Hadoop cluster, etc. Cost: You can buy both the Kindle edition and paperback version of this book from Amazon which will cost you ₹344.46 and ₹393.00 respectively. Overview: This book covers everything you need to build your first Hadoop cluster and begin analysing and deriving value from your business and scientific data. You can learn to solve big-data problems the MapReduce way, by breaking a big problem into chunks and creating small-scale solutions that can be flung across thousands upon thousands of nodes to analyze large data volumes in a short amount of time. Cost: You can buy both the Kindle edition and paperback version of this book from Amazon which will cost you ₹555.75 and ₹585.00 respectively. 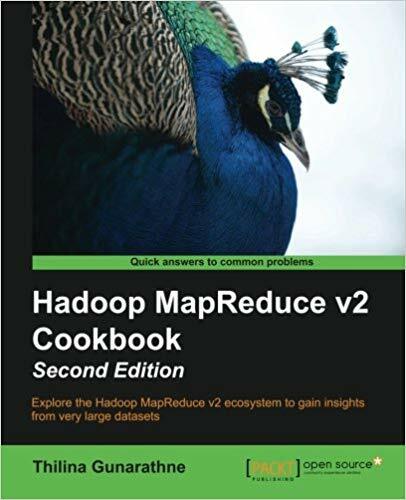 Overview: In this book, you will learn to configure and administer Hadoop YARN, MapReduce v2, and HDFS clusters, how to use Hive, HBase, Pig, Mahout, and Nutch with Hadoop v2 to solve your big data problems easily and effectively, solve large-scale analytics problems using MapReduce-based applications, perform massive text data processing using Hadoop MapReduce and other related projects, deploy your clusters to cloud environments, etc. Cost: You can buy both the Kindle edition and paperback version of this book from Amazon which will cost you ₹627.89 and ₹829.00 respectively. 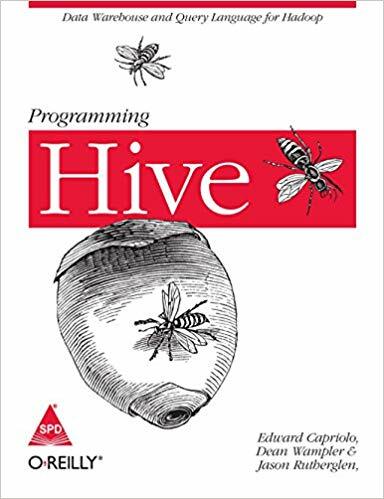 Overview:This book basically uses Hive to create, alter, and drop databases, tables, views, functions, and indexes, you will know how to customize data formats and storage options, from files to external databases, learn Hive patterns you should use and anti-patterns you should avoid, integrate Hive with other data processing programs, load and extract data from tables—and use queries, grouping, filtering, joining, and other conventional query methods, etc. Cost: You can buy both the Kindle edition and paperback version of this book from Amazon which will cost you ₹471.45 and ₹700.00 respectively. What Are Feature Selection Techniques In Machine Learning?